This article explains how to administer GAP Guardian devices via the GAP Portal. 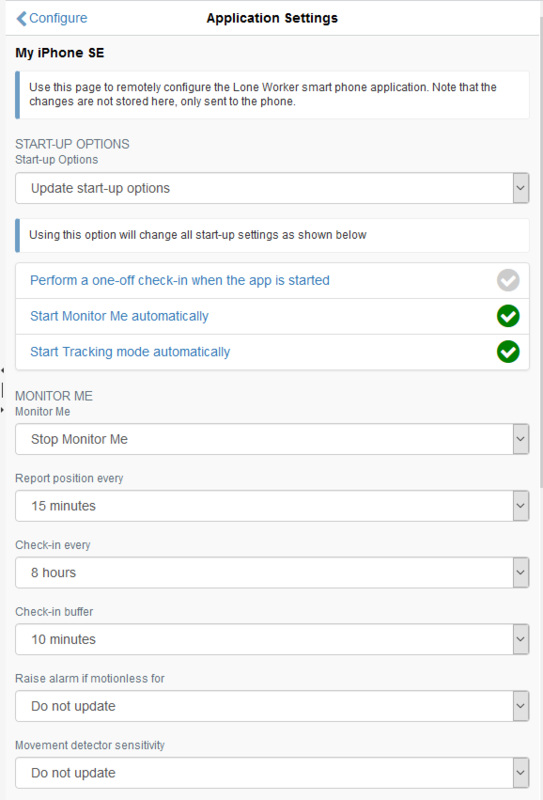 You can now set up default settings for new instances of the app on a per-tenant basis. When a new app instance is activated, the tenant-level default settings will be applied. Note: changing these settings does not change the settings for existing, activated app instances. 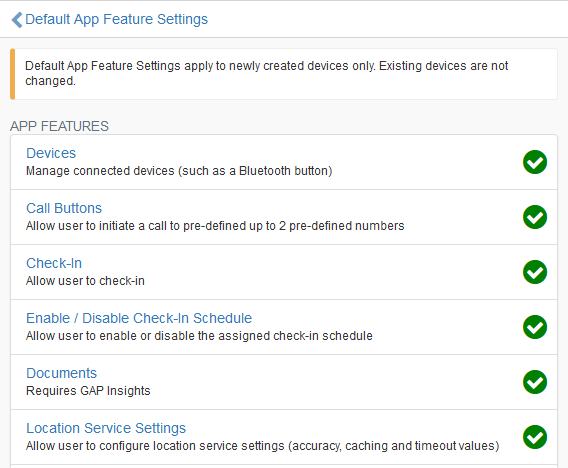 Click "Default App Feature Settings"
You will also need to select a map icon and map icon colour. It may take a few minutes for the current location to be returned via a message in the Inbox. You can declare an emergency on behalf of the device user. This will send a command to their device to activate SOS mode.